Before construction of the extension will receive permission from the district Department of architecture and urban planning. On the Annexand the main building, a draft. You can only build in a specified place in accordance with the building regulations. If you attach to the house without approval, you will write a huge administrative penalty, and can get forced to clean up. 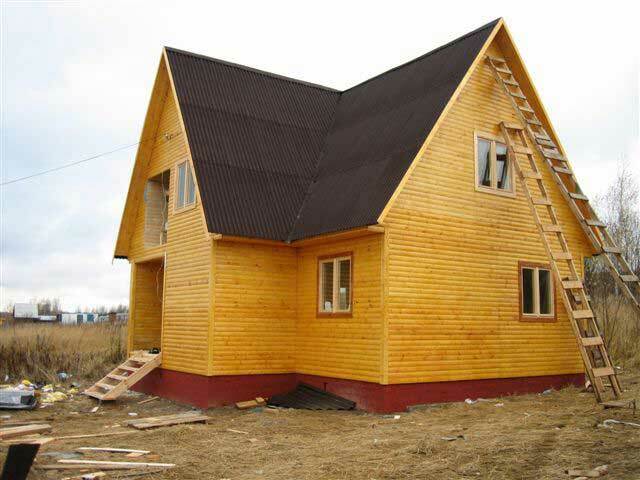 Directly an addition to the house it is better to make from the same material, i.e. wood. The Foundation for the extension do the same as that of the primary structure. To lay it should be at the same depth, do the same height above soil level and build depending on what type of Foundation the house that you build an extension. If the building strip Foundation, then the extension must be the same, if tile - tile erect. Install the formwork. Between the Foundation of the house and forms a partition, do not install. Fill the Foundation with concrete, which can be ordered from the builders, or make yourself. If you do the concrete yourself, then use the mixer for better mixing and solution in a ratio of 1 part cement, 3 parts sand and 3 parts gravel.Both the Foundation fasten with staples. The following year, when the extension will give the cake, the crack between the Foundation of the house and extension need to fill in and carefully luted. The height of the walls set the same as that of the main building. The walls of the outbuildings and the house also need to bond staples. The roof extension can be a continuation of the roof or lean-to, tightly adjacent to the wall structure, the main thing that covered it was the same material as the main structure. The entire facade erected outbuildings must match the house. To the Annex looked like something separate, make the trim match the trim of your home. If your house is wood, then the extension should be done as well.